The biggest reason I am a die-hard Lynyrd Skynyrd fan, is my friend and my boss, Mr. Bret Michaels. He is the biggest Skynyrd fan I know (personally, that is) in addition to being frynds with the guys in Skynyrd. Anyway, Bret touring with Skynyrd in 2010, opened the floodgates for me personally in everything Skynyrd – I’ve gotten a lot (not all, yet) of the music, read a few books and scoured the Internet for old photos and information about Skynyrd and their music. My roommate will tell you I’m obsessed, but I love Skynyrd’s music and listen to it everyday. 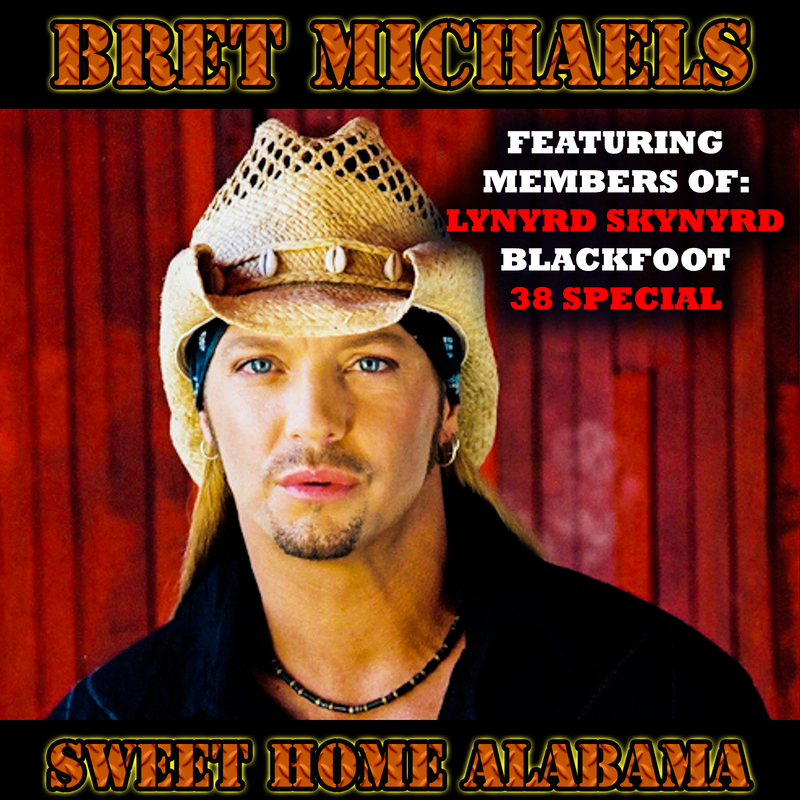 This summer, Bret is releasing an album with lots of special guests on it. Today, two digital singles became available on iTunes, one of which is Bret’s version of Sweet Home Alabama. I am a fan first, so I don’t like to bring my job to this board, but I really dig this version of Sweet Home Alabama. It’s different from the original. I ain’t gonna lie, my favorite parts of the song are the parts the Rickey Medlocke and Gary Rossington play on their guitars and that Peter Keys and Bobby Capps are on the tune as well. I love this version, it’s not the original, but I do love it. I have had the chance to listen to it for quite a while, but I am very excited that the world gets to hear it. It is on iTunes today, other services will follow, hard copy CDs later this summer.